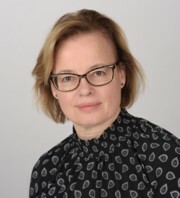 The focus of Dr. Schuurmans’ research is on the specification of neural cell fates and the control of tissue morphogenesis in the developing central nervous system, in particular in the developing retina and neocortex. She is applying her knowledge of neural development to understand the injury response and to mobilize endogenous stem cells for tissue repair. Her lab is also developing lineage conversion strategies for neural cell replacement therapies. Tachibana N, Cantrup R, Dixit R, Touahri Y, Kaushik G, Zinyk D, Daftarian N, Biernaskie J, McFarlane S, Schuurmans C. Pten regulates amacrine cell differentiation by modulating Akt, Tgfb and ERK signalling. J Neurosci. 2016 Sep 7;36(36):9454–71. Adnani L, Langevin LM, Gautier E, Dixit R, Parsons K, Li S, Kaushik G, Wilkinson G, Wilson R, Childs S, Nguyen MD, Journot L, Dehay C, Schuurmans C. Zac1 regulates the differentiation and migration of neocortical neurons in part via Pac1. J Neurosci. 2015 Sep 30;35(39):13430–47. Li S, Mattar P, Dixit R, Lawn S, Wilkinson G, Meier C, Kurrasch DM, Chan JA, Schuurmans C. RAS/ERK signalling functions as a proneural lineage switch in cortical development and gliomagenesis. J Neurosci. 2014 Feb 5;34(6):2169–90. Dixit R, Wilkinson G, Cancino G, Shaker T, Adnani L, Li S, Kurrasch DM, Chan JA, Olson E, Kaplan D, Zimmer C, Schuurmans C. Neurog1 and Neurog2 control two waves of neuronal differentiation in the piriform cortex. J Neurosci. 2014 Jan 8;34(2):539–53. Li S, Mattar P, Zinyk D, Singh K, Chaturvedi C-P, Kovach C, Dixit R, Kurrasch DM, Ma Y-C, Chan JA, Wallace VA, Dilworth M, Brand M, Schuurmans C. GSK3 temporally regulates Neurogenin 2 proneural activity in the neocortex. J Neurosci. 2012 Jun 6;32(23):7791–805.